Economic Recession. Some say it’s coming, and others say it’s already here. You’ve heard it in the news and have felt it in your wallet. And a lot of other signs appear to agree: falling house prices, the NASDAQ and the DOW, and numerous job cuts. However, if there are two things that have actually gone up in these financially troubled times, they are gas prices and jobs in the health care industry. The Chevron Station across the street haughtily showing off its staggering price of $4.28 for a gallon of regular unleaded gas, confirms the increase in this area. But there are more pleasant signs indicating that the demand for jobs in the health care sector has not only increased dramatically in recent years, but will continue to increase for the next few years. And a lot of that is demand is driven by the need for more nurses. 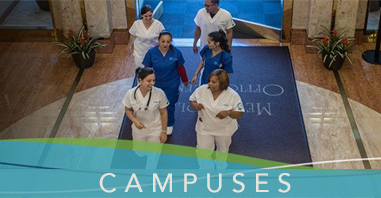 In this employment crunch, everything I’m hearing is about the nursing shortage crisis and how nursing programs are having to turn away prospective students by the hundreds due to the lack of space. The jobs are out there, it’s simply become a rat race for those wanting to get the training to fill those spots. Fortunately, the state has gotten involved in trying to address this crisis. Governor Arnold Schwarzenegger (still weird to say that) introduced the California Nurse Education Initiative back in April 2005 to expand the number of nursing programs. 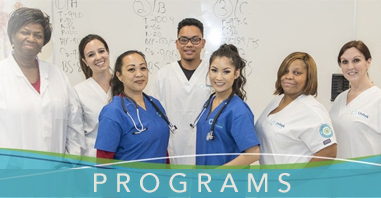 The Labor and Workforce Development Agency just released a report earlier in the month stating that California nursing programs are projected to graduate nearly 10,400 registered nurses this year, a 68% increase from the 2003-2004 academic year. However, “experts” are warning that it’s still too early to declare the nursing shortage over. And many students are still having difficulty grabbing spots at inadequately resourced community colleges. Some have turned to private training programs as viable and immediate options. After all, how many people can really afford to wait? I liked browsing through and believe this website has some really usefull information on it!